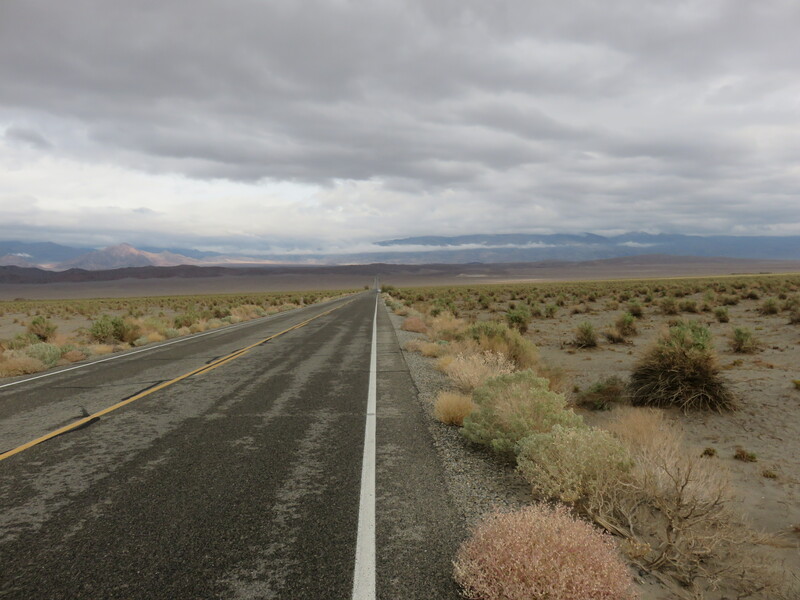 Having got my bicycle fixed up in Ridgecrest I continued on to Death Valley, as the rain kept on falling. 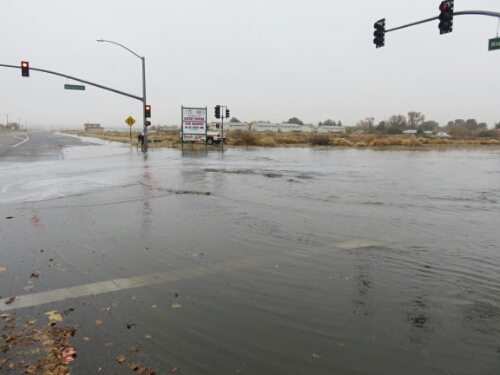 The roads were already flooding a little as the ground was not used to soaking up this much liquid. 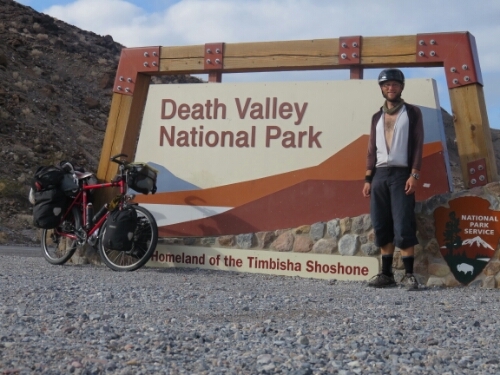 I was now riding from Ridgecrest down Searle’s Valley, the valley that runs perpendicular to Death Valley. 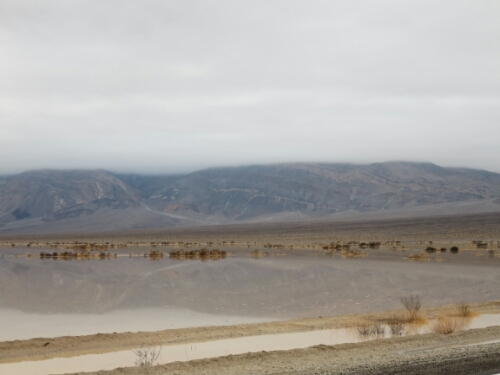 Pretty much in one of the driest, most arid places on Earth and I was soaked to the bone. It was so wet my fingers were wrinkling up. There really isn’t much to see in this valley, especially when visibility is well down from all the weather. So I just kept on riding and riding. Eventually the light began to fade, as it does, and then the road pretty much faded as well. There was no indication how long this would go on for and there had been no warning earlier that the road would disappear. On a bike in the wet this road was very hard going and my speed pretty much halved. All I could do was grind along and hope this wasn’t to be the surface for the rest of the route, or I’d be in trouble. Luckily after about two long miles the road eventually returned to tarmac and I could continue making time. At this point I wasn’t sure what to do. It was almost dark so normally I’d begin to camp but I didn’t feel I needed to look for a good spot as the landscape was still the same for miles. 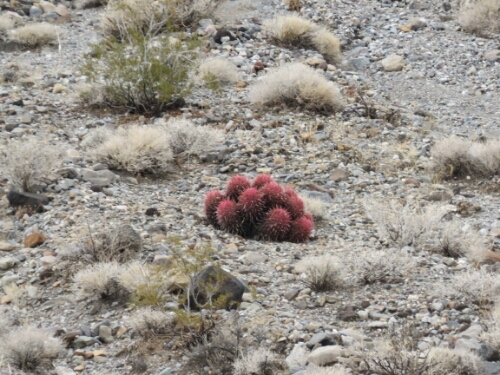 So I could camp here or there and it wouldn’t matter, one rocky patch of desert is much the same as another. On my map there was a small town marked so I had half a mind to try and ride to it but I thought it was still about three hours away, so that would be three hours in the dark. I didn’t have a clear plan in mind and just decided to carry on riding and see what would happen. Thankfully the rain stopped so I at least was drying out a bit as I went. 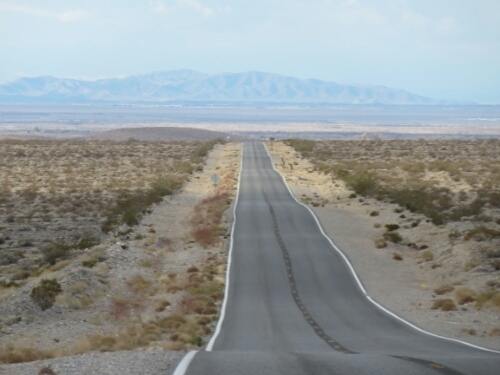 As I rode it started to get darker and there were less cars and I could feel the desert stretching around me endlessly. I could see four orange lights up on a hill and they were all I had for company, until they were gone too. It was a strange feeling and I could feel panic nipping at the edges of my mind. It was a primal fear of the dark and the unknown that now surrounded me. I don’t think I’d ever felt more alone on this trip. I knew there was nothing I could do about it and so I just bit down and tried to think of other things. After a while a few more cars started to come past and I got used to the feeling of riding in the desert at night. Then I stopped for a snack while I tried to decide whether to carry on. While I was doing so a truck pulled up beside me and the driver got out to check if I was in distress. As he did so I tried to clear my mouth and explain I was fine and thank him for being so considerate. He also told me the small town was only six miles away now, ten miles closer than I’d expected. On this basis I decided I’d ride there that night. With a destination I was able to ride with a much more comfortable feeling and I clipped along. 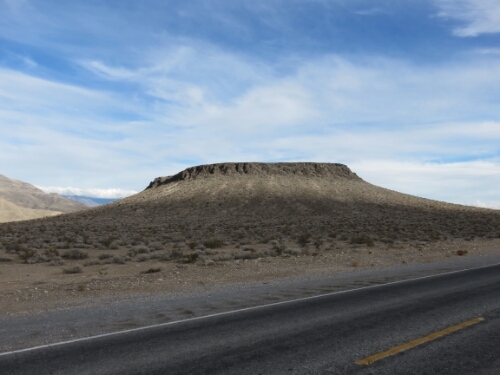 It was a very long flat road and I’d see car headlights from miles away, it was disconcerting as they’d begin as one light before coalescing into two. 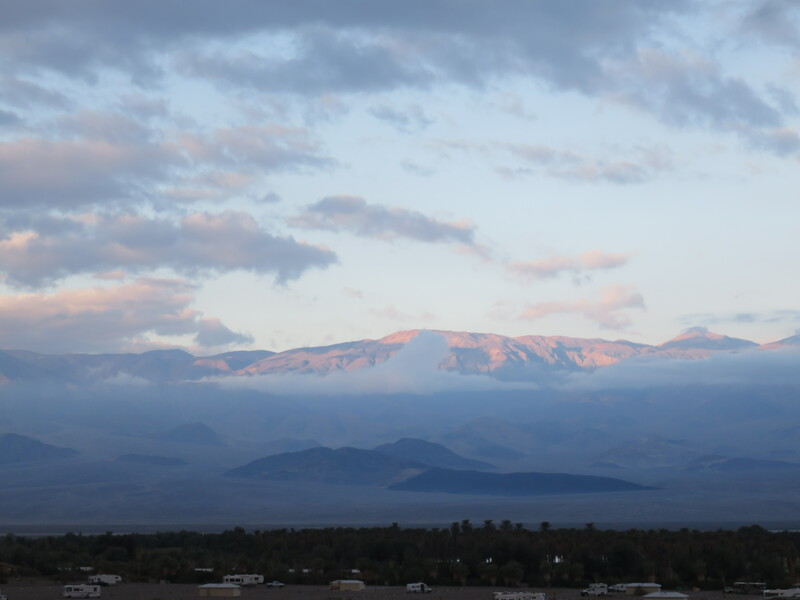 Eventually I rolled up to Panamint Springs, a tiny resort town that wasn’t much bigger than the resort. It had a petrol station, a small expensive shop and a restaurant. 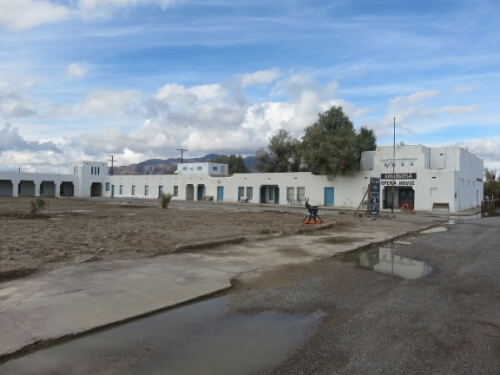 As well as a motel and campground. When I went to look at the campground there wasn’t anyone there so I went to look for somewhere to wild camp. I think I must have been suffering from lack of energy as I hadn’t eaten enough, because the spot I chose to start with was ridiculous. It was on a flat spot right in front of the sign for the town. It didn’t seem too exposed to start with but after I’d got my tent up I realised that it was. Also it looked like it was sort of on a track and that it might be dangerous if anyone came up there. I kind of wanted to forget about it and just get in my tent. I decided that was probably a bad idea so I scampered over the road to find some flat ground over there. In the dark it was hard to tell what was around and how much cover I’d have. I did find a flattish spot so I ran over and picked my tent up and took it back over. As I did this a car drove up and round to where my bike was propped against the sign… Uh oh. As I gingerly walked back over a man asked ‘Is this your bike?’ He wasn’t aggressive but he was certainly more than curious. ‘Yes that’s my bike, I was just propping it out of the way.’ Was my response. ‘Me? No, of course not.’ I said with a nervous laugh. I then had to bite down on explaining why it wasn’t such a bad place as it was flat there with no rocks. He then explained he owned the resort area and after I asked about camping told me where I could go. 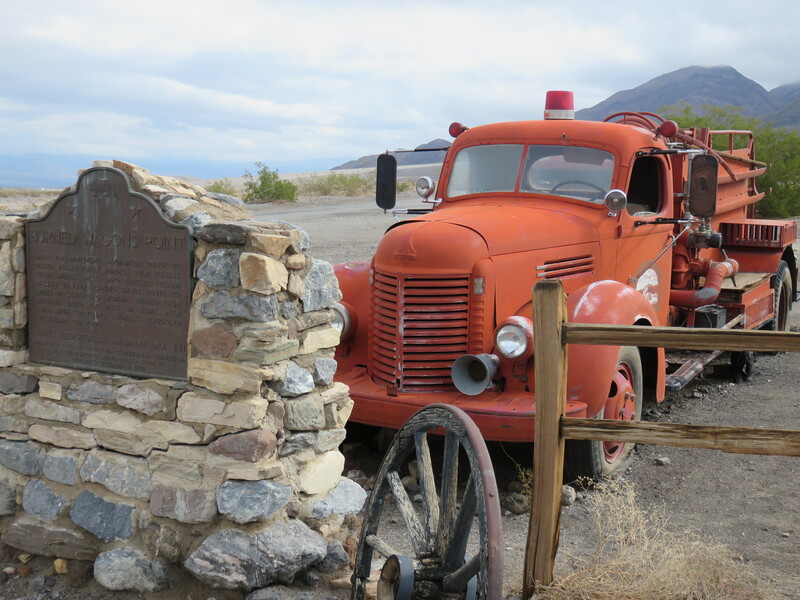 Which was lucky as camping in Death Valley National Park within one mile of paved roads is apparently illegal. He also told me how to check into the campground, which it transpired was pretty good value considering it had showers. 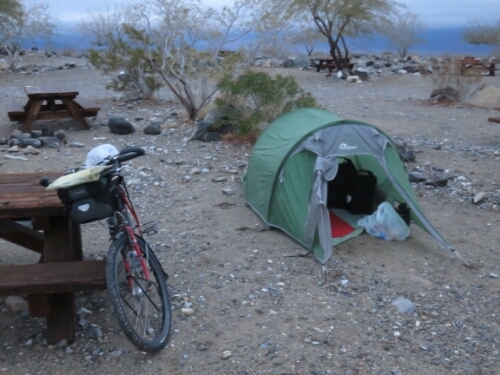 At this stage I was in no mood for riding off to find somewhere a mile off paved roads to camp on so I just settled for the campsite. This was pretty much glamping for me as they had a hot shower and running water. In the morning I realised staying at the campsite was wise as at night I hadn’t realised how exposed the whole area was. It was on the side of a big dip that meant everywhere was in view from one side to the other. My tent would have stuck right out. The rain had stopped and now it was just a bit overcast and grey, very rare for the area. Apparently seeing water here is almost unheard of. 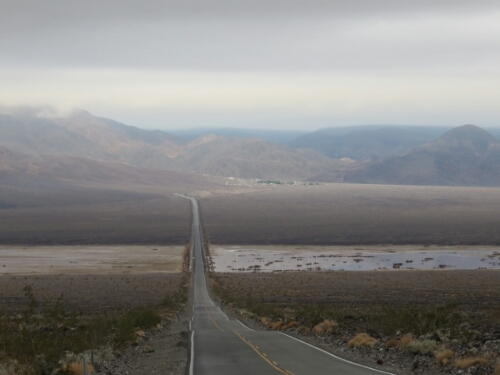 Straight away that morning, I began a hard long climb up towards the pass into Death Valley proper. I couldn’t imagine trying to make that in the summer with temperatures of 50 degrees Celsius. I’m not even sure it would be possible to carry enough water to do it on a touring bike. 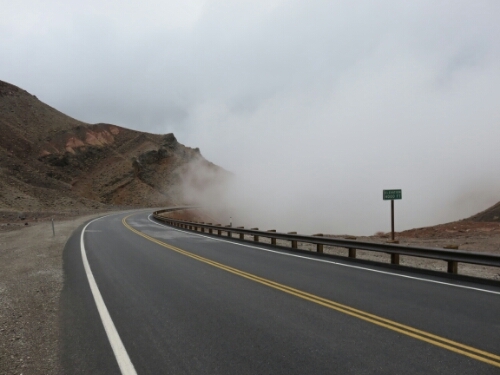 As I climbed fog would sweep in across the road obscuring my view. Again apparently almost unprecedented in that place. Eventually I made it up to the top and I was quite nervous about riding down because the fog was thick when it came in. So I switched on all my lights and hoped for the best. To start with it was fine and the downhill was incredible, I made it to just over 48mph and probably my top speed of the trip. Then I entered some fog and I could barely see. 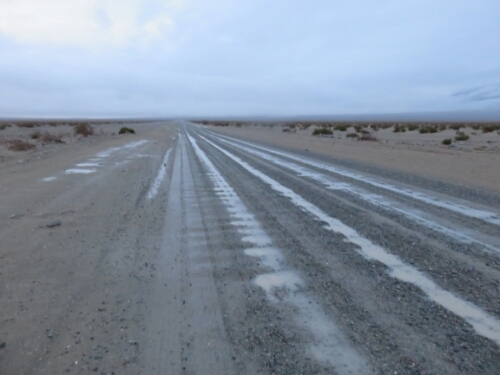 I was on probably the fastest descent of the trip in one of the driest places on Earth and I was braking because I could barely see more than ten metres in front of me! 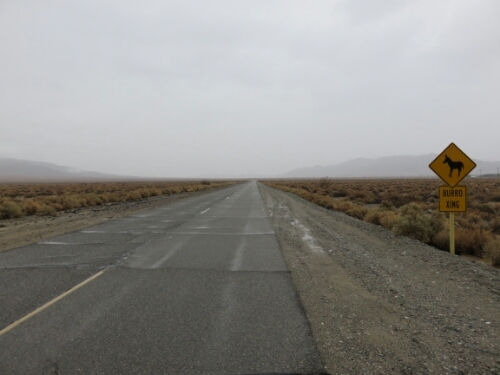 Getting hit by a car in a fog bank was not the death I had prepared myself against in Death Valley. 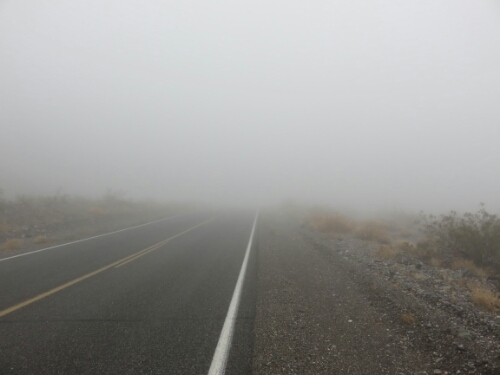 Luckily there wasn’t much traffic and what cars that were there were also creeping down so I escaped unscathed, riding out under the fog eventually. As I came down I could really see the valley stretching out before and there was literally nothing. Just the road again stretching for miles. 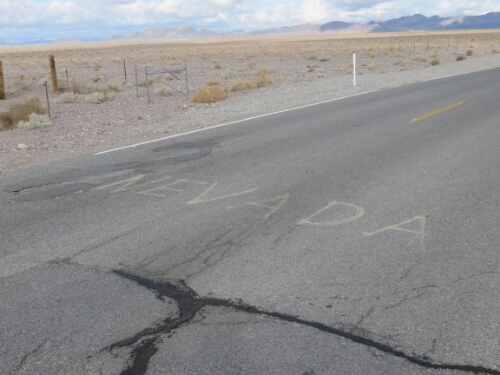 Until the small town of Stovepipe Wells. 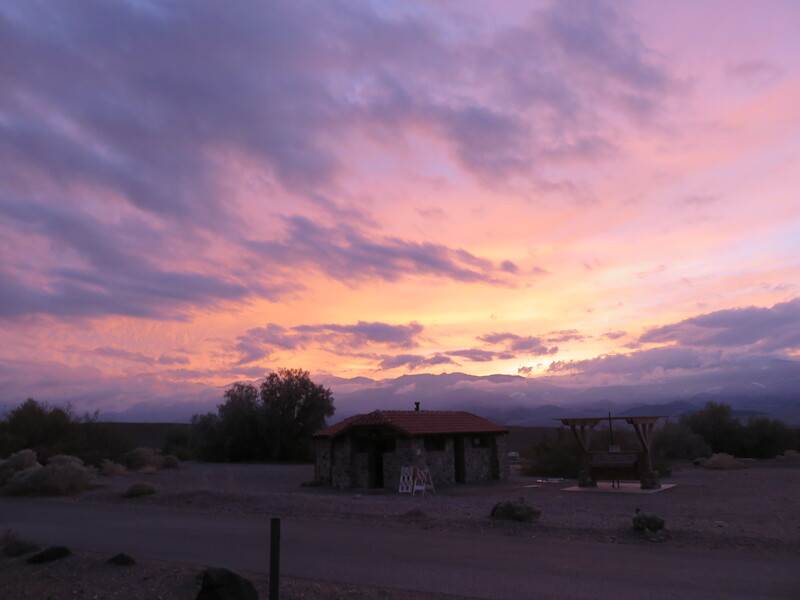 This was built as a way stop to the mines in Death Valley and eventually grew into a very small resort, there is even a pool at the hotel. The day was almost pleasant now and I continued riding off into the valley, into nothingness again. You really have to get your head down and just ride. There are no trees, no human habitations and no things really. 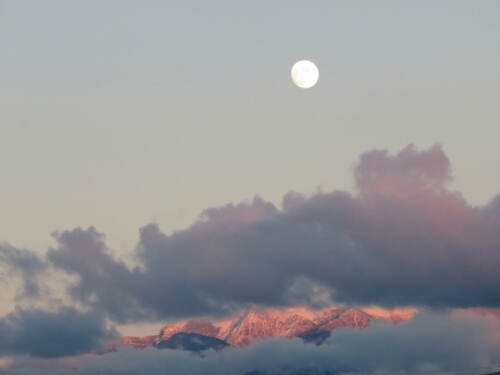 It was still beautiful and incredibly epic, the landscape just took a while to change. I hadn’t ridden anywhere else at all like it. 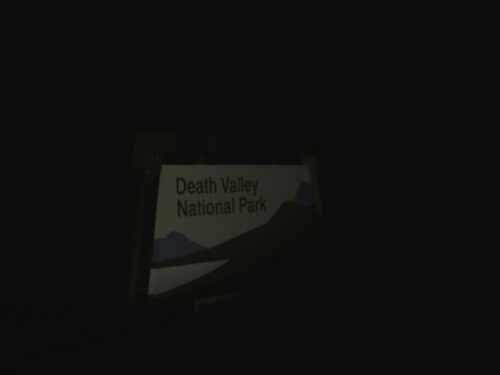 Eventually I would reach another of the small towns in Death Valley. 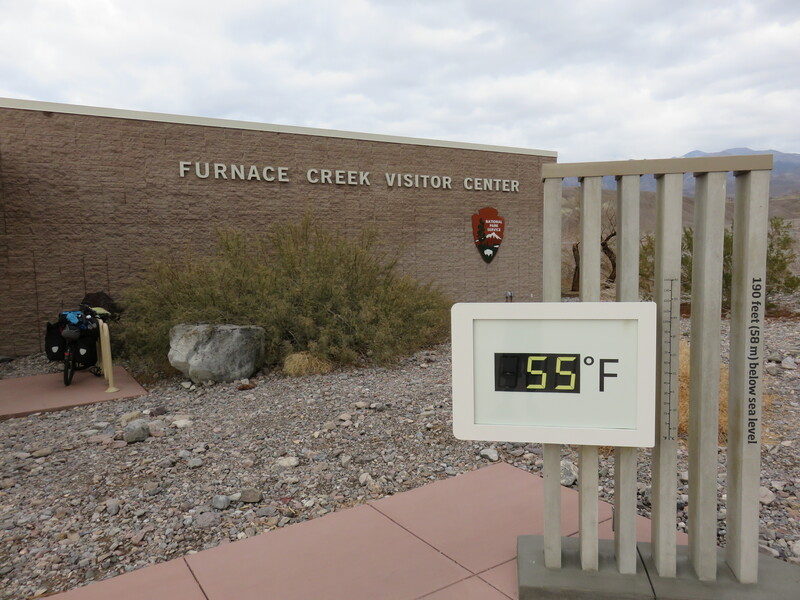 This was called Furnace Creek. 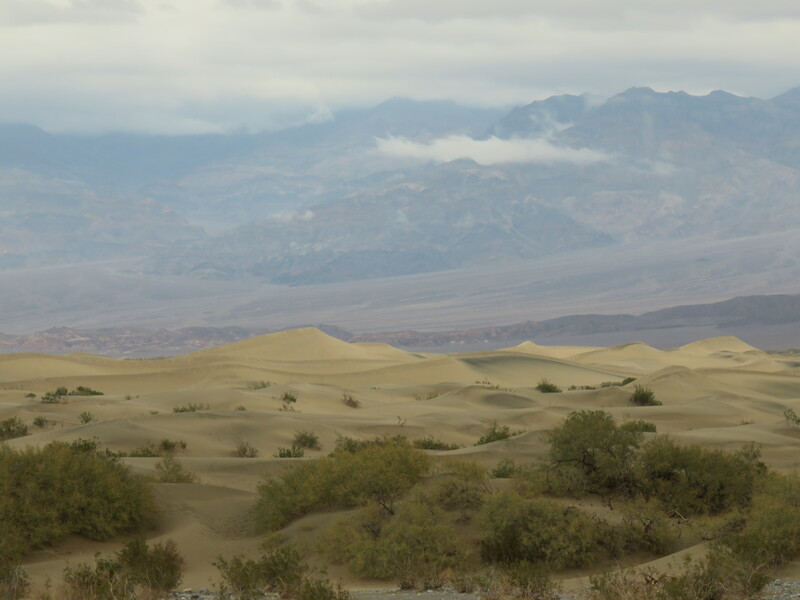 It very surprisingly has a golf course… Yes, you can play golf in Death Valley. I decided I’d stop and camp here as I didn’t fancy getting off road a mile to pitch my tent. Walking up I headed off to climb again, this time out of Death Valley. 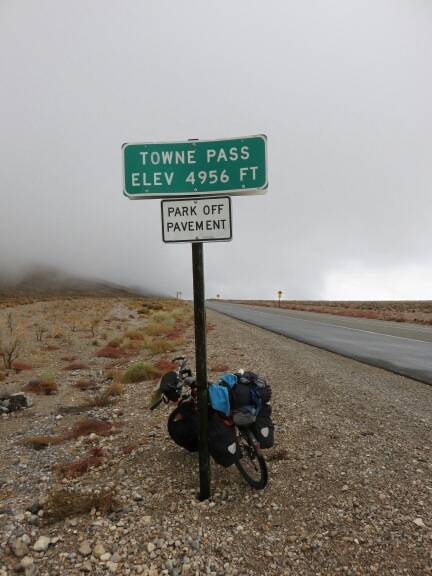 I seemed to be riding up a summit every day on this leg of the trip and I was getting tired! 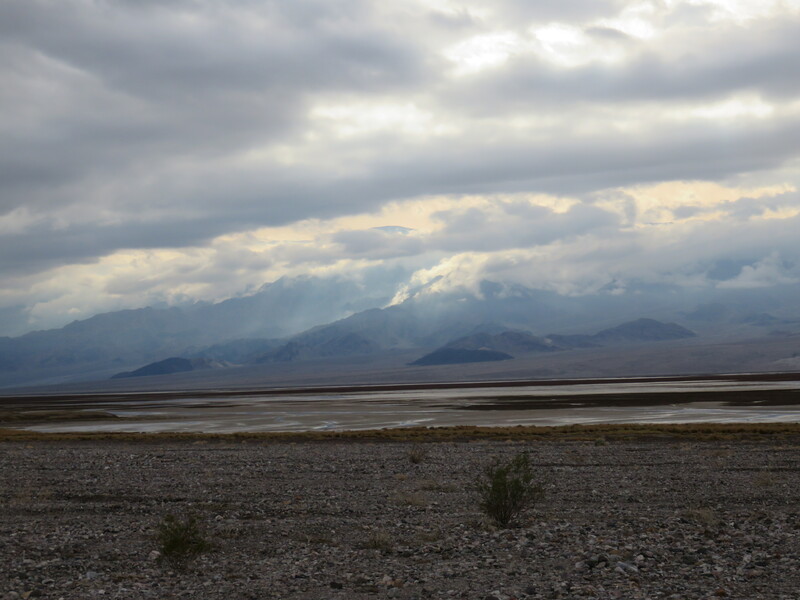 Coming out of the valley was beautiful again and apparently I’m lucky because most people never see so many clouds in Death Valley. I also got rained on a bit again… How fortunate I am. After another long slog I made it up and out of the park. Again the road was stretching of ahead of me for miles and miles that I would have to slog through. 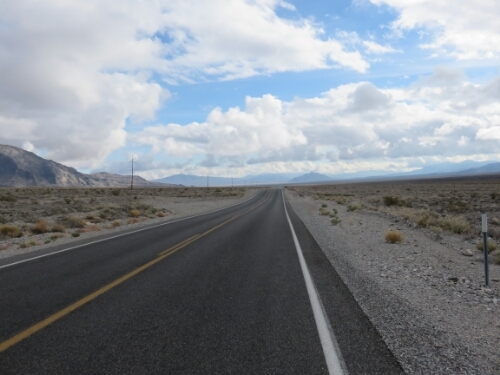 Once more the monotony was broken by a small random town, this time Death Valley Junction. Town though, is perhaps, as with all the other places in this area, too grand a name. Death Valley Junction though, does have a very random opera house, if little else. After I stopped and had some muffins with peanut butter it was back riding. 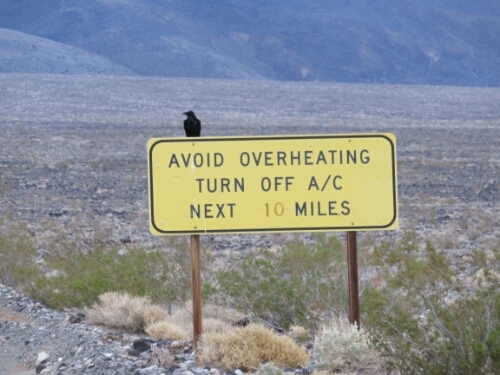 I was heading for Pahrump, a town across the border in Nevada where I would be staying with a warmshowers.Org host. 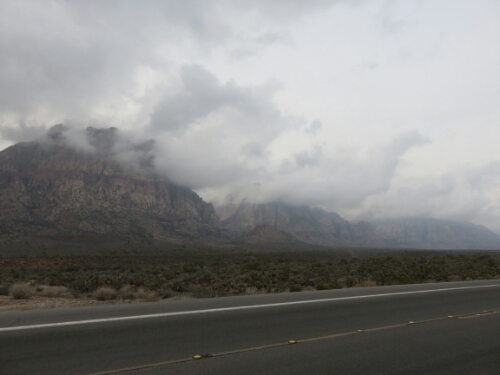 The ride down to Pahrump was more endless road though there were great views. 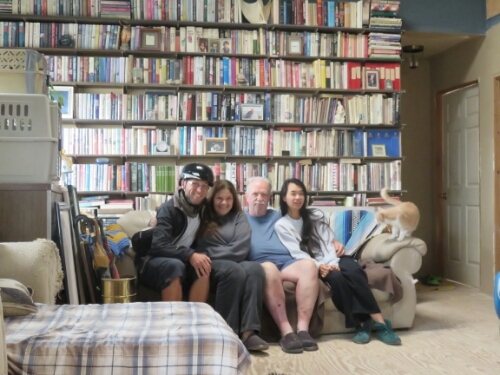 In Pahrump I was welcomed warmly by Donna and her husband Rodger who really made me feel at home. They told me how they hosted many cyclists coming through the city as hosts are few and far between there. They even had a guest book full of messages from all those who had stayed. It was great to recharge my batteries there before the final push to Las Vegas! 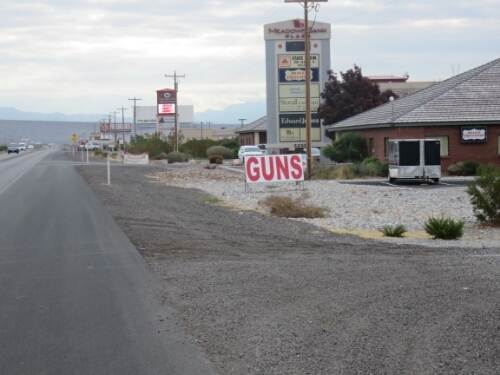 The next day I headed off through Pahrump to begin the ride to Vegas. Once more I was going to be going up hill. 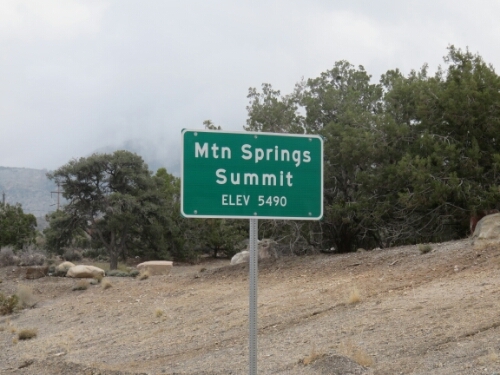 It wasn’t long before I was riding up towards the pass that would take me down towards Sin City. And once that was crested it was pretty much all down hill towards the self billed entertainment capital of the world! Awesome looking ride. Have fun in Vegas!